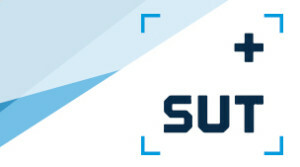 SUT+ is a subset of the Society for Underwater Technology (SUT) London & South of England Branch. SUT+ London & South England (L&SE) is the official group for developing professional’s working in underwater technology, ocean science and subsea engineering. We organise technical and social events in a range of formats, and promote underwater technology within society by supporting the education and career development of our members. For upcoming SUT+ events please click here. Please tell us what events and activities you would like to see from SUT+ and forward any feedback you have for the group. SUT+ encourages all its members to register as a STEM Ambassador through STEMNET. New STEM Ambassadors receive an induction and are able to complete a Disclosure & Barring Service (DBS) Check, which allows them to work promote STEM subjects in schools.